Do you have how to make a website questions? 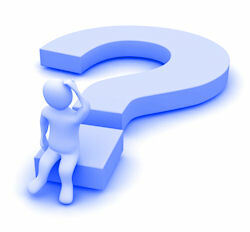 Get webmaster help here for your questions or read our webmaster FAQs. 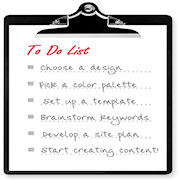 I've done my best to answer many of the most common questions about creating websites here on the pages of this site. I hope before you've come here, you've taken time to scan the various topics and tutorials I've already provided, to see if any of them answer your questions. But I have to be realistic... I know it's impossible to anticipate every question out there, so I thought I'd post this invitation to my readers to pose your unanswered questions here... and I'll do my best to give you the answers you need. What kinds of questions might you ask? Well... could be anything about web design, graphics, content development, integrating social media, how to use different modules in SBI. Just be aware, I am self-taught. Though I am knowledgeable... I am NOT a web developer or computer programmer. As long as you confine your questions to the types of topics you see on this site, we should get along just fine! Listen... I'm providing free help and advice here, so I think it's only fair that I ask you for some basic respect and consideration in return. Agreed? There are 2 boxes below... use the first one to write a BRIEF overview question. Use the second to give me as much detail as you can. This is not Twitter or texting. I won't answer questions that are not written with capitalization, punctuation and a reasonable attempt at proper grammar and spelling. Please be patient... I will answer as quickly as I can. Don't use this page to advertise your own services, product or agenda. It's only for asking questions and answering them. Please feel free to answer anyone's question here that you are knowledgeable about. I'm not the only expert! Have a Question About Making Websites Using SBI? What kind of questions do you have about making websites? This is aimed primarily at people who use SBI to create websites, but I will take questions from non-SBI users as well. Please be as specific as you can about what you need to know. e.g., "How do I get text to wrap around an Adsense ad?" Your question (and my answer) will appear on a Web page the way you enter it here (I may edit slightly). You can wrap a word in square brackets to make it appear bold. For example [my question] would show as my question on the Web page containing your question. Do you have some pictures or graphics to add that might illustrate what you're struggling with (such as screenshots)? Great! Click the button and find the first one on your computer. Select it and click on the button to choose it. 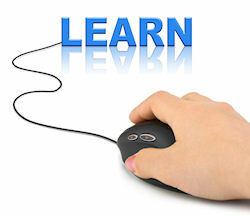 When learning how to make a website, it's inevitable that questions will arise. That's why I have offered webmaster help here. Feel free to avail yourself of it!